On July 10, 1980 the body of 49 year old school teacher William Gerald Hodges was found at a Valdosta truck stop fatally wounded by a shot to the mouth and to the shoulder. Later in the night, a Bardstown, Kentucky couple, David N. Hardin, 22, and his wife, Katie Back, 28, were asleep in a rest area off I-75 near Lenox. They had their three children and Hardin's niece in the back seat, and were returning home from a Florida vacation. Witnesses testified that without warning, a man approached and shot Hardin in the back of the head, and then demanded that his wife, Katie Hardin, leave with him. When she refused and screamed for her husband as he lay dying, she was shot in the head. Several eyewitnesses saw a dark-colored semi pulling an empty yellow flatbed parked in the lot, and saw the driver approach the Hardin's car. The vehicle's description matched the one driven by Alabama truck driver William Putman. He was arrested him in Dooly County at another rest station. When his effects were inventoried at the jail, police found an insurance card, a watch and two rings, all belonging to Hodges. He had a blood-alcohol level of 0.13%. Police also found a wallet belonging to Hardin and a .38-caliber revolver under the driver's seat of his vehicle. Ballistics tests confirmed that all three murders were committed with that handgun. Putman also was convicted and was sentenced to life for the murder of William Hodges. Three eggs over light, toast, bacon, hash browns, vanilla ice cream and two soft drinks. Putman declined to make a final statement. William Putman was executed Wednesday for the deaths of a couple sleeping at a south Georgia rest stop 22 years ago. Putman, 59, was pronounced dead at 7:24 p.m. at the state prison in Jackson, south of Atlanta. Putman declined to make a final statement. When asked, he said, "No, thank you." Asked if he wanted a prayer, he said, "No, No." Putman did not close his eyes as the chemicals used for execution went through his system. He looked straight ahead and muttered something unintelligible. He appeared to be having trouble breathing before the chemicals shut down his lungs. Putman had instructed his attorney on Tuesday to drop his final appeals, and spent his last two days meeting with 29 family members and friends. Department of Corrections spokeswoman Peggy Chapman described Putman as having been "resigned to his fate," calm and ready to die. The Pardons and Paroles Board considered and then denied clemency for Putman on Tuesday, even though he didn't seek it, said spokeswoman Heather Hedrick. Witnesses in Putman's trial said he approached a family sleeping at a rest area off Interstate 75 near Lenox on July 10, 1980. The family was traveling home to Kentucky from a vacation at Daytona Beach, Fla. Putman was found guilty on accounts that he fatally shot the car's driver, David Hardin. Then Putman demanded that his wife, Katie Hardin, leave with him. She refused and screamed for David as he lay dying. Then she was shot in the head. Police pulled Putman over at another rest area on I-75. He had a blood alcohol level of 0.13, and they found a wallet and a .38-caliber revolver under the driver's seat. Putman also was serving a life sentence for killing a school teacher, William Hodges, at a truck stop in Valdosta the day before, July 9, 1980. The execution was witnessed by Shannon Blincoe, daughter of the slain couple, who was in the front seat of the car when her parents were shot. She was eight months old at the time. Three older children also were in the car when the shootings took place. No members of Putman's family attended the execution. Putman's last meal was three eggs over light, toast, bacon, hash browns, vanilla ice cream and two soft drinks. Bob Ellis, a district attorney who worked on the case, said the daughter had told him "My mamma and daddy can finally rest in peace." He said he had stayed in touch with the daughter since the trial. State of Georgia Executes William Howard Putman. William Putman was killed by the state on November 13, 2002 and pronounced dead at 7:24pm. He asked his lawyers not to pursue any last minute round of appeals nor did he request a clemency hearing with the state Board of Pardons and Paroles so that he could spend time with his family and focus on life rather than death. Death penalty opponents gathered in Jackson at death row, in Atlanta at the state capitol, and in Americus, Athens, Augusta, Clarkesville, Conyers, Marietta and Savannah on the night of the execution. The state of Georgia is scheduled to execute William Howard Putman Nov. 13 for the murders of David Hardin and Katie Back on July 10, 1980. That evening, three shootings occurred in the vicinity of Interstate 75 in south central Georgia. Prosecutors charged Putman, a white man, with three counts of murder – one in Lowndes County and two in Cook. Both juries found him guilty of the crimes; however, one gave him a life sentence, and the other the death penalty. The disparity in sentences directly correlates to the effectiveness of Putman’s defense counsel in the two trials. In Lowndes County, his lawyers used a responsible penalty phase strategy, calling nine witnesses to present mitigating evidence. Five family members, a co-worker, a lawyer, a prison deputy, and the defendant himself spoke out against a death sentence. They all testified that Putman was a kind, caring, and peaceful man; the prison deputy said the defendant often gave advice to visiting schoolchildren about staying out of prison, and the lawyer claimed he was always a calm and concerned client. Putman’s lawyers also raised the issue of lingering doubt, raising the possibility that scientific evidence might eventually prove the defendant’s innocence. After hearing the testimony and deliberating, the Lowndes County jury found life imprisonment a suitable punishment. In Cook County, a year later, Putman’s defense counsel – a different team of lawyers than in Lowndes – failed to follow the successful penalty phase strategy of the previous trial. They called only four witnesses, skipped over critical mitigating factors, and allowed the prosecutors to portray the death penalty as a necessity. During closing arguments, the prosecutor argued: “More important than what you heard this afternoon is what you did not hear. You did not hear a preacher…You did not hear one single co-worker…You did not hear one single personal friend who knows him and knows what he’s like…(Putman) is the kind of man who doesn't have a preacher to come and speak up for him, a personal friend, a close, close family member.” Had Putman’s lawyers simply followed the previous strategy and put up the same co-worker, the same close family members, and the same witnesses altogether, he might not be awaiting execution. Now, at 59 years old, Putman has been waiting on death row for over two decades. Throughout his appeals, he has maintained his innocence, and continuously questioned the reliability of eyewitnesses who testified against him. Evidence indicated that several eyewitnesses seemed confused about their own accounts: one saw the murderer at a rest stop after Putman had already been incarcerated, and others claimed they saw a blonde man commit the murders. Sentenced to death under a system prone to error (102 death row inmates have been exonerated in the United States since 1976), Putman is facing execution for a crime he may or may not have committed. Please write the state of Georgia and request a commutation of William Putman’s death sentence. "State Executes Putman for Murders." JACKSON, Ga. - William Putman was executed Wednesday for the deaths of a couple sleeping at a south Georgia rest stop 22 years ago. Putman, 59, was pronounced dead at 7:24 p.m. at the state prison in Jackson, south of Atlanta. It was the state's eighth execution by injection. Putman declined to make a final statement.When asked, he said, "No, thank you." Asked if he wanted a prayer, he said, "No, No." Putman had instructed his attorney on Tuesday to drop his final appeals, and spent his last two days meeting with 29 family members and friends. Department of Corrections spokeswoman Peggy Chapman described Putman as having been "resigned to his fate," calm and ready to die. The Pardons and Paroles Board considered and then denied clemency for Putman on Tuesday, even though he didn't seek it, said spokeswoman Heather Hedrick. Witnesses in Putman's trial said he approached a family sleeping at a rest area off Interstate 75 near Lenox on July 10, 1980. The family was traveling home to Kentucky from a vacation at Daytona Beach, Fla. Putman was found guilty on accounts that he fatally shot the car's driver, David Hardin. Then Putman demanded that his wife, Katie Hardin, leave with him. She refused and screamed for David as he lay dying. Then she was shot in the head. Police pulled Putman over at another rest area on I-75. He had a blood alcohol level of 0.13, and they found a wallet and a .38-caliber revolver under the driver's seat. Putman did not close his eyes as the chemicals used for execution went through his system. He looked straight ahead and muttered something unintelligible. He appeared to be having trouble breathing before the chemicals shut down his lungs. Putman also was serving a life sentence for killing a school teacher, William Hodges, at a truck stop in Valdosta day before, July 9, 1980. The execution was witnessed by Shannon Blincoe, daughter of the slain couple, who was in the front seat of the car when her parents were shot. She was eight months old at the time. Three older children also were in the car when the shootings took place. No members of Putman's family attended the execution. Putman's last meal was three eggs over light, toast, bacon, hash browns, vanilla ice cream and two soft drinks. Bob Ellis, a district attorney who worked on the case, said the daughter had told him "My mamma and daddy can finally rest in peace." He said he had stayed in touch with the daughter since the trial. There were about a dozen anti-death penalty demonstrators outside the prison during the execution. "Every time we execute somebody it's repeating the violence we're supposed to be against," said Laura Moye, one of the protesters. "The state shouldn't have the power to take human life because it can't give life back when it makes mistakes." "Nov. 13 execution set for convict in 1980 deaths." A former truck driver is scheduled to be executed by lethal injection on Nov. 13 for killing 2 people at a South Georgia rest area more than 20 years ago. William Howard Putnam, 59, was sentenced to death for killing a Kentucky couple on July 10, 1980, on their way home from a Daytona Beach, Fla., vacation. A Cook County jury found Putnam guilty of fatally shooting David Hardin and Katie Back, who had stopped to sleep at an I-75 rest stop. William Howard Putman is scheduled to be executed on Wednesday, November 13, 2002, at 7:00 p.m. After consultation with his family, Mr. Putman has decided to forego clemency review and has instructed his attorneys to seek no further intervention by the courts. Mr. Putman does not want to die, yet he is prepared to die. Mr. Putman maintains his innocence, but has decided to focus his attention on his family during his final days. Anyone who knows Mr. Putman would not be surprised that his concerns are with his family and not himself. During the past two decades while on death row, Mr. Putman has been a consistent, positive and integral part of his children's lives. They routinely have looked to him for guidance, advice and support. Mr. Putman wants to ensure that his last days are focused on life, not death, and on his daughters* and granddaughter*s future. 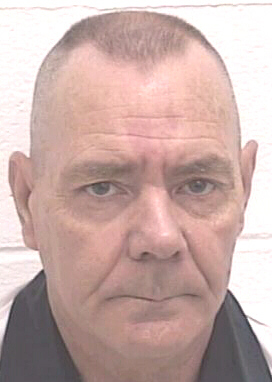 Bill Putman is a rare example of a death-sentenced inmate. Mr. Putman was a thirty-seven year old truck driver on his way home to his family in Alabama after making a delivery in Florida when he was arrested and charged with three homicides. The State of Georgia has never been able to establish any motive for the crimes. Mr. Putman had no prior criminal record. He was a loving husband and father, a hardworking provider for his wife and children, a respectful son and loyal brother, a good employee, and a well liked and respected man in the community. He was known for his caring nature, peacefulness and generosity. Everyone who knew Bill Putman liked him, respected him and sought his advice. He was a giver. Even today, Mr. Putman's friends and family, who have stood by him since his arrest, still do not believe that he committed the crimes for which he has been convicted and sentenced to death or that he was capable of doing so. Since his arrest, Mr. Putman has projected the same positive attributes in jail, in prison between the two trials, and since being on death row. His character has not diminished. He remains the same man he has always been -- giving, positive and life affirming. Mr. Putman stands convicted and sentenced to death for crimes which are so out of character that one naturally questions whether Mr. Putman could have committed the crimes. The dichotomy between Mr. Putman*s life history and the crimes could have provided a compelling case in mitigation of a death sentence but his trial attorney*s failed to present the compelling story of Mr. Putman*s life history. United States Circuit Court Judge Wilson, who dissented from the affirmance of the denial of federal habeas corpus relief, explained that "[m]any criminal defendants lack the breadth and variety of the close relationships that [Mr. Putman] had prior to his crimes." Putman v. Head, 268 F.3d 1223, 1255 (11th Cir. 2001) (Wilson, J. dissenting). Judge Wilson concluded that Mr. Putman was denied the effective assistance of counsel at the sentencing phase of his capital trial writing that Mr. Putman "is likely on death row today because of the deficient performance by his attorneys at the sentencing phase of this case." Although his case presents troubling questions about indigent defense and the implementation of the death penalty, Mr. Putman is focused on being a father, grandfather, brother and uncle. In the end, family is what matters to Bill Putman. Mr. Putman has been a model prisoner who followed the rules, caused no problems and who after being convicted in Lowndes County, and sentenced to life, was put on a road crew where he performed well while awaiting his capital trial. JACKSON, Georgia (AP) - (November 14, 2002) A man who shot a couple to death in front of their four children at an interstate rest stop 22 years ago was executed by injection Wednesday. William Putman, 59, had told his attorneys to drop his final appeals Tuesday. The Pardons and Paroles Board considered and denied him clemency, even though he didn't seek it, said spokeswoman Heather Hedrick. Putman was pronounced dead at 7:24 p.m. at the state prison in Jackson. Witnesses in Putman's trial said he approached a family sleeping at a rest area off Interstate 75 on July 10, 1980, in south Georgia. David and Katie Hardin and their children, including an 8-month-old daughter, were traveling home to Kentucky from a Florida vacation. Putman shot David Hardin and demanded that Katie Hardin leave with him, witnesses testified. She refused, and was shot in the head as she screamed for her dying husband. Putman also was serving a life sentence for killing a teacher, William Hodges, at a Valdosta truck stop the day before the rest stop murders. The execution was Georgia's eighth since the state Supreme Court ordered it to switch from electrocution to injection last year. "William Putman to die by injection Wednesday," by Mark Niesse. (AP) November 12, 2002 (ATLANTA) - A truck driver who killed two people at a rest area and another man at a truck stop 22 years ago was scheduled to die by injection Wednesday. William Putman, 59, canceled his hearing before the Pardons and Paroles Board on Tuesday to spend time with his family on death row in Jackson in the hours before his 7 p.m. Wednesday execution. Putman would be the eighth man put to death since Georgia adopted lethal injection _ instead of electrocution _ as its method of execution. A notice of appeal was filed with the Georgia Supreme Court, but further steps to delay the execution had not been taken and time appeared to be running out, said court clerk Lynn Stinchcomb. The Pardons and Paroles Board was meeting Tuesday to consider granting Putman clemency anyway, as it does for every execution, said spokeswoman Heather Hedrick. "Mr. Putman preferred to spend his final days with his family," Hedrick said. "Regardless, based on legal advice, the board is going to go ahead and review the case." Earlier that day, the body of William Gerald Hodges had been found slumped over the wheel of his automobile in the parking lot of a truck stop in Valdosta. A .38-caliber bullet was recovered from inside his skull. Ballistics tests showed the three fatal bullets were all fired by the same gun _ the .38 caliber revolver found in Putman's truck. Putman got a life sentence for Hodges' death and later was sentenced to death for killing the couple. On appeal, he claimed his attorneys didn't adequately represent him during the sentencing phase of the Hardin trial. ATLANTA - The State Board of Pardons and Paroles will meet with representatives for condemned inmate William Howard Putman, 59, at 9 a.m. today. They are expected to ask the board for executive clemency for Putman, who is scheduled to die by lethal injection at the Georgia Diagnostic and Classification Prison in Jackson at 7 p.m. Wednesday. The investigation revealed that in July 1980, Putman, a semi-truck driver, murdered three victims during a killing spree after delivering a load of steel to Florida. Reports indicate that in the early morning hours of July 10, 1980, Putman stopped at a rest area near Lenox in Cook County. His two victims, David Hardin, 22, and Katie Back, 28, were sleeping in their vehicle along with four children, including the 8-month-old daughter of Back. Without warning, Putman shot Hardin in the back of the head, and after a struggle, shot Back in the face. Hardin's 14-year-old niece escaped the vehicle and sought help. Georgia State Patrol later arrested Putman in Dooly County. A jury of the Cook County Superior Court sentenced Putman to death in September 1982. Putman is also serving a life sentence for the earlier murder of William Gerald Hodges at a truck stop in Lowndes County. Hodges, 49, was found in his vehicle fatally wounded by a shot to the mouth and to the shoulder. ADEL - A former Alabama truck driver sentenced to death row 20 years ago after being convicted of fatally shooting a Kentucky couple traveling through Cook County is scheduled to be executed today in Jackson. He was also convicted of the murder of Hamilton County, Fla. school teacher William Hodges, 49, in Lowndes County. He was sentenced to life for Hodges murder. The State Board of Pardons and Paroles met with representatives for condemned inmate William Howard Putman, 59, Tuesday. Although Putman canceled his hearing to spend time with his family, the board still considered - and denied - his clemency request. Appeals have continuously been made to both the State Supreme Court and the U.S. Supreme Court. He was sentenced Sept. 17, 1982. According to court documents obtained from the Cook County Superior Court Clerk's Office, Cook County shootings occurred in the early morning hours of July 10, 1980. The Lowndes County shooting was said to have occurred at a Truckstops of America in Valdosta on July 9, 1980. Hodges was shot while in his vehicle. Putman was also at the rest area. According to his statement, he had a few alcoholic beverages while at the truck stop around 10 p.m. He had in his possession a .38-caliber revolver. Hodges' body was found around 2 p.m. July 10, 1980. Later in the night, the Kentucky couple, David N. Hardin, 22, and his wife, Katie Back, 28, were asleep in a rest area near Lenox. They had their three children and Hardin's niece in the back seat, and were returning home from a Florida vacation. Court documents mention several eyewitnesses saw a dark-colored semi pulling an empty yellow flatbed parked in the lot, and saw the driver approach the Hardin's car, a Dodge sedan. They also heard a sound which sounded like firecrackers. The sound awakened Hardin's niece, and she joined the other eyewitnesses in saying she saw a man grab Back. She struggled, refusing to go with him, and screamed for her husband, who had been shot. The man also shot Back. The witnesses called law enforcement, describing the semi they'd seen. The vehicle's description matched the one Putman was driving, and police arrested him in Dooly County at another rest station. They transported him back to Cook County. While at the Cook County Jail, Putman's clothing and personnel effects were inventoried. Among the things they found in Putman's possession were Hodges' insurance card, a watch and two rings, also belonging to Hodges. Alapaha Circuit District Attorney Bob Ellis, who was an assistant district attorney at the time, said when Putman first arrived at the Cook County jail, Cook law enforcement wasn't aware of a fatal shooting occurring in a Lowndes County rest area. Around noon on July 10, Cook law enforcement learned about the deceased Hodges. Ellis said the person who answered the phone asked for the name of the deceased person, and the name, William G. Hodges, sounded familiar to her. His insurance card had been in Putman's possession. That piece of paper, Ellis said, indicated the Lowndes County murder was connected to the Cook County murder. Also a point in the state's case was the fact the bullets used to fatally wound Hodges, Hardin and Back were the same. "The ballistics matched," Ellis said. Ellis also said the case has been going through the appeals process since the Cook County jury sentenced Putman to death. He added that the victims - the children who were in the back seat of the Hardins' vehicle - have had to live their lives without their family members. One of the children, Shannon, who was only a few months old when her parents died, is now in her 20s with a child of her own. He added that the execution would be some sort of closure for the family. Attempts to contact the victims' families for comment were unsuccessful.